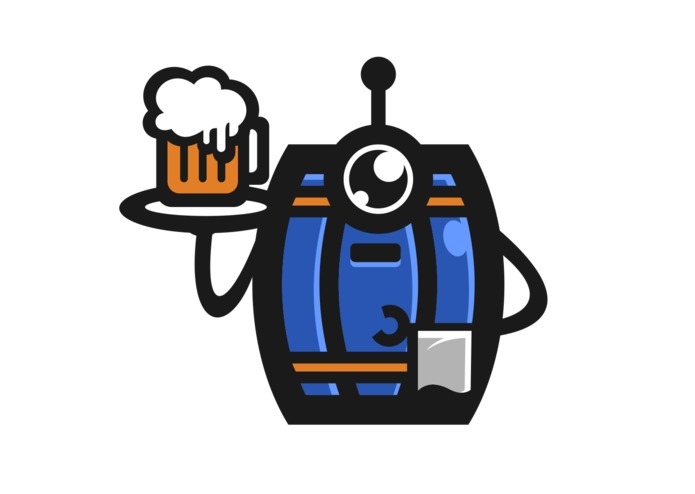 Bbot the beer delivery robot. Bbot delivers an Alexa order. We have had the beer delivery robot for awhile, but until this Hackathon, we had not thought to integrate Alexa into it. With Alexa it makes it even easier to order and get drinks delivered to your table! The code for this hackathon was to build an API for our robot that Alexa could talk to. 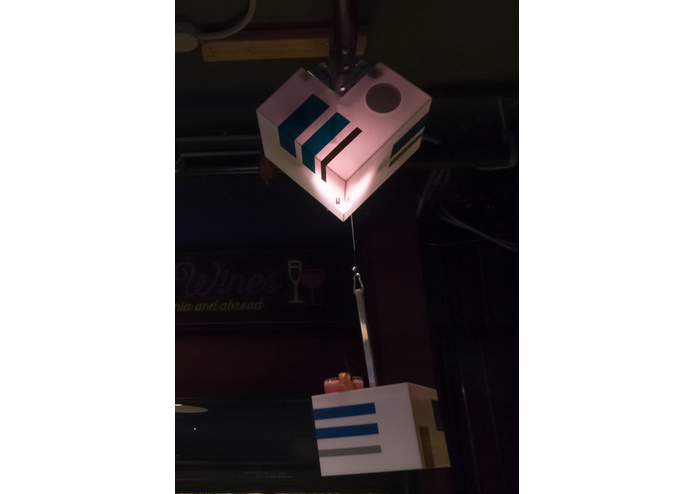 We initially created a robot to deliver drinks in crowded bars and clubs. 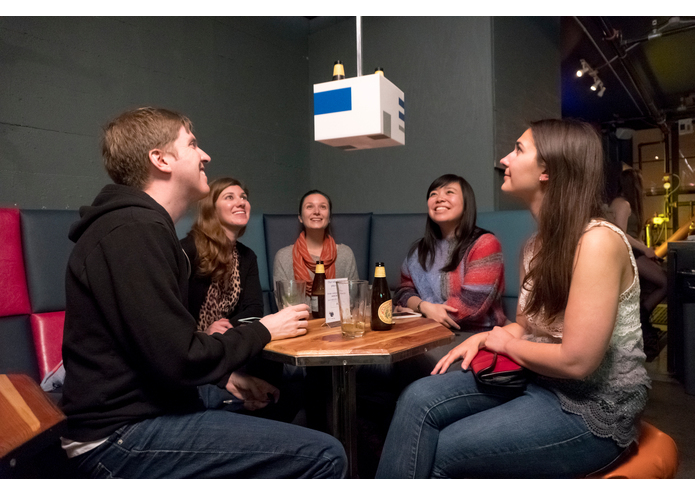 We could never get to the front of the line at crowded bars and we knew we could make them less crowded if a robot could travel in the sky to the tables. So we set out to make it a reality. We did the machining at TechShop SF and we did apps in angular.js (consumer) and ionic (bartender). The robot has a raspberry pi and everything on the server is running on docker on AWS. Noise on the line on some of our circuits. Other hardware issues. From a developer experience perspective, the Alexa part was pretty easy (except maybe the documentation on account linking, but that wasn't that hard). Getting it installed in a real bar in San Francisco. We are hoping to expand it to more bars and nightclubs soon. 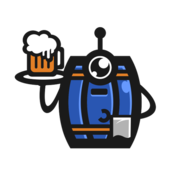 What's next for Alexa-powered Beer Robot. Installing in two more bars (one in Cincinnati, one in Oakland). And one of the owners wants the Alexa integration we did for this hackathon! We still have to finish building the Alexa integration for this hackathon. This page is a placeholder right now until we update our submission with code and videos!